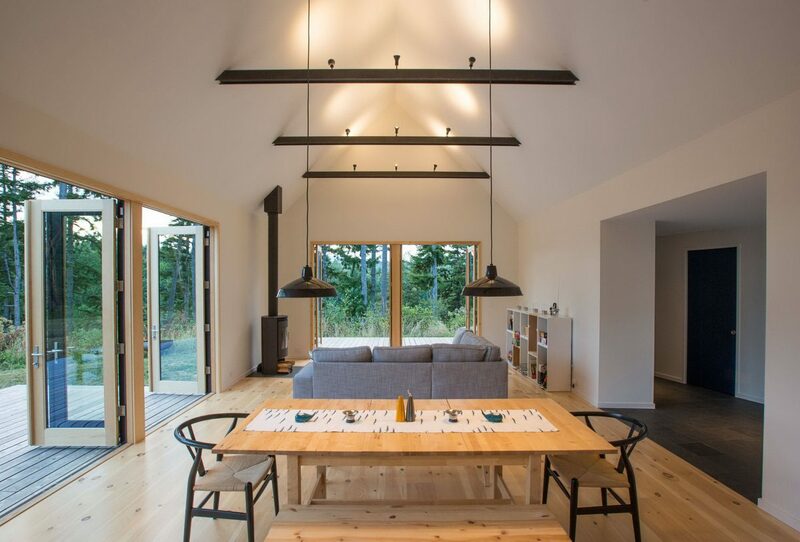 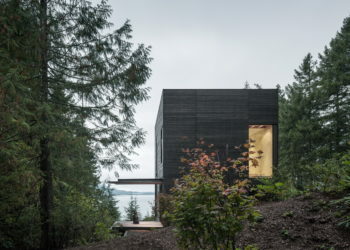 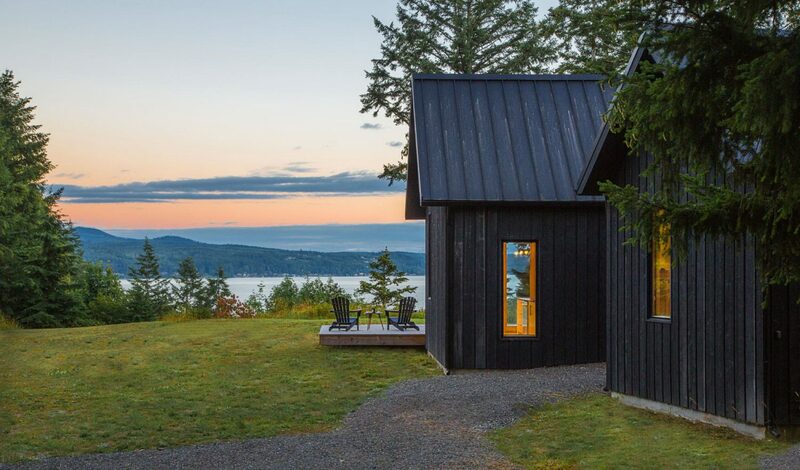 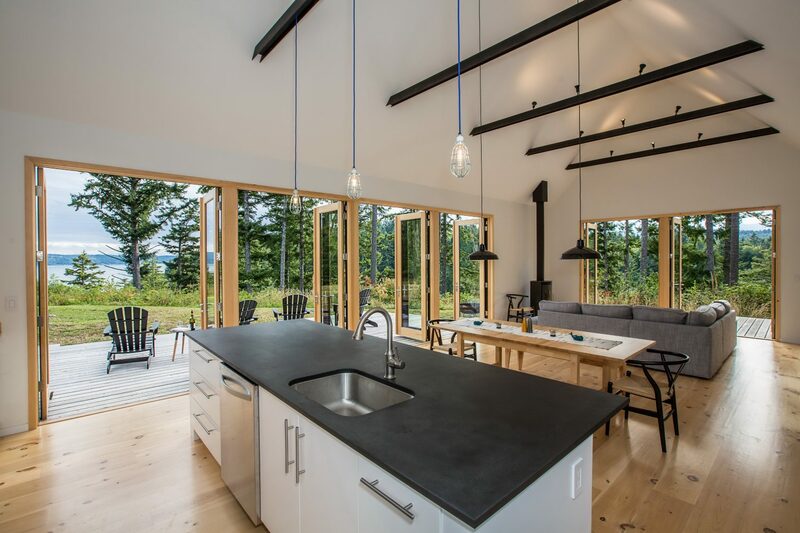 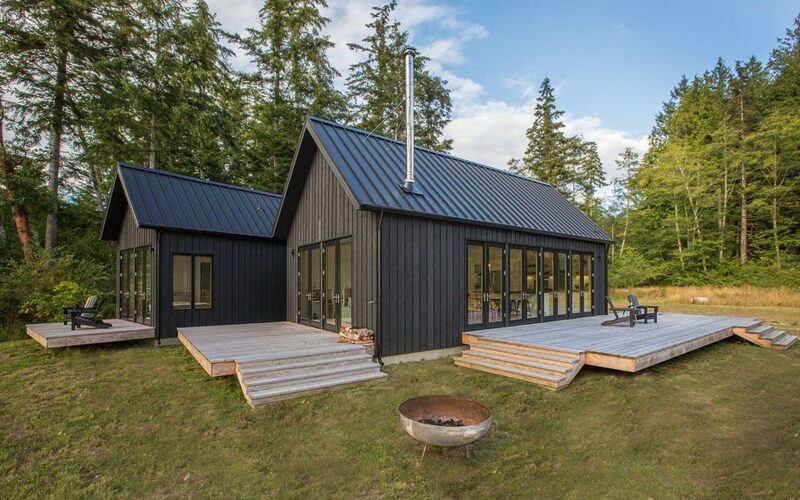 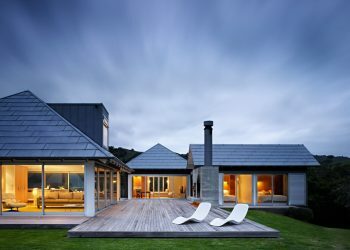 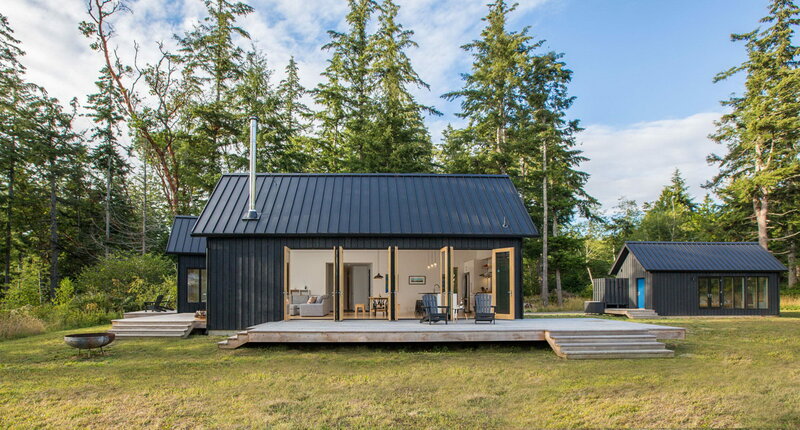 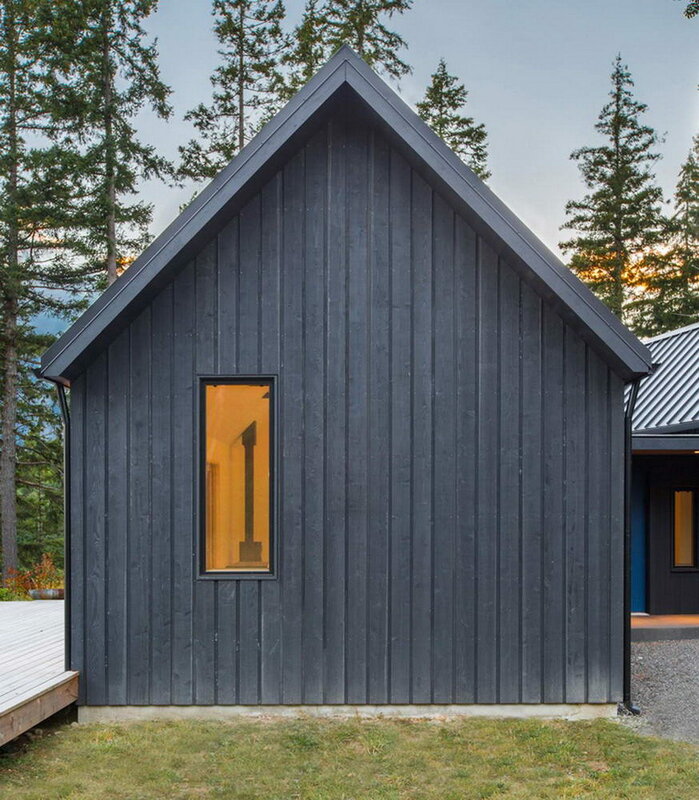 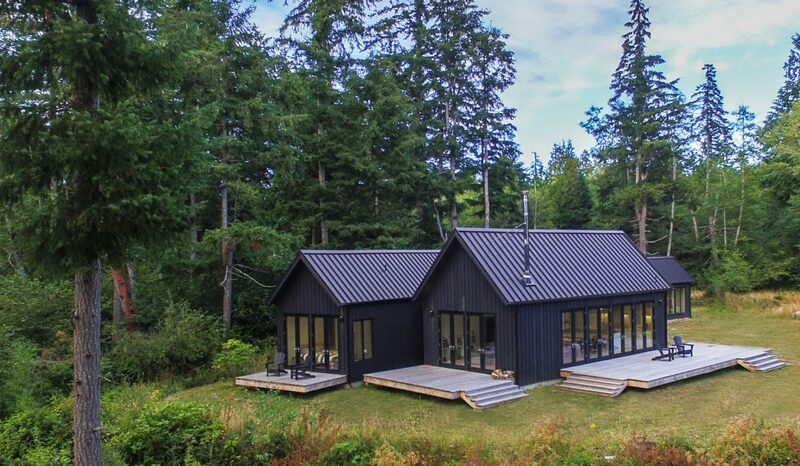 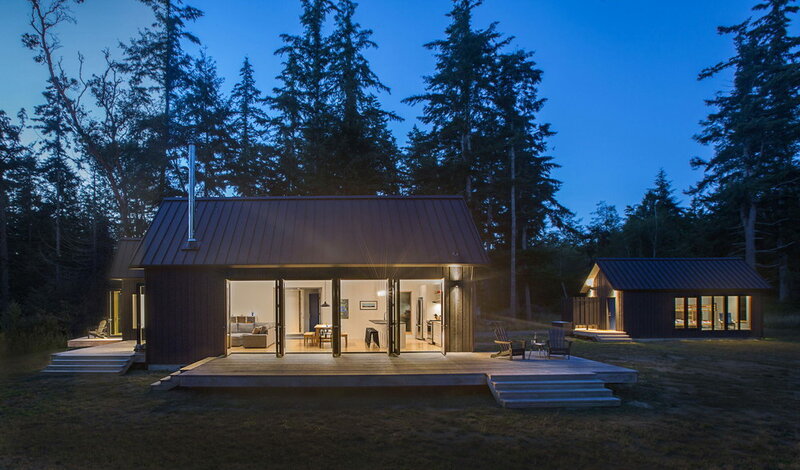 Prentiss + Balance + Wickline Architects designed a vacation house overlooking the Hood Canal for a Seattle family. 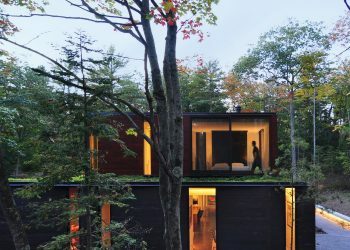 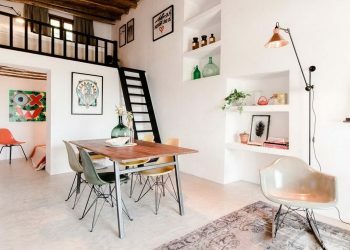 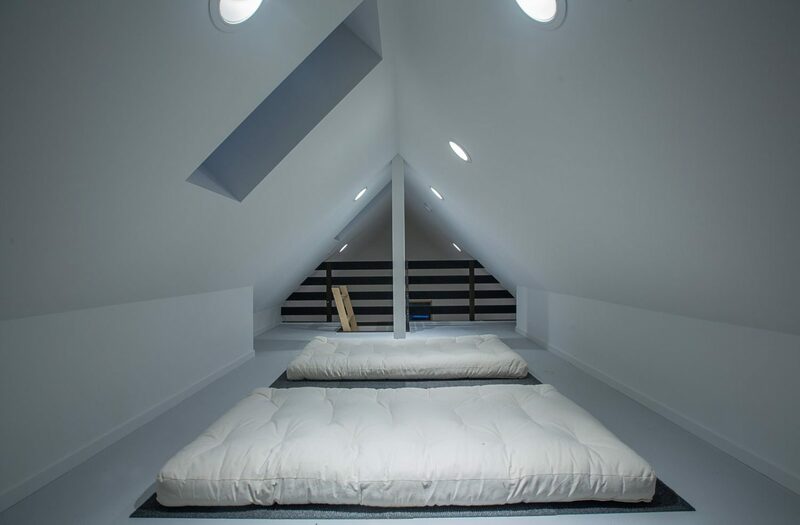 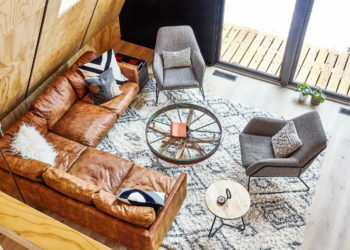 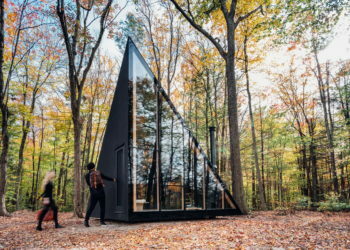 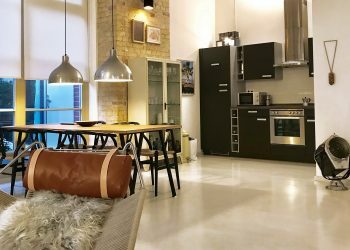 Called The Coyle, the 1700-sqft (158-sqm) waterfront dwelling draws inspiration from its site and the owner’s Danish roots. 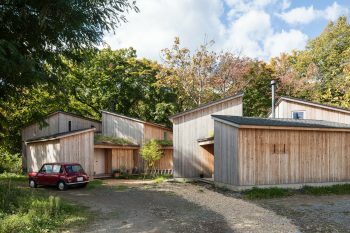 The main public and private functions are split into two offset volumes joined by a common entry. 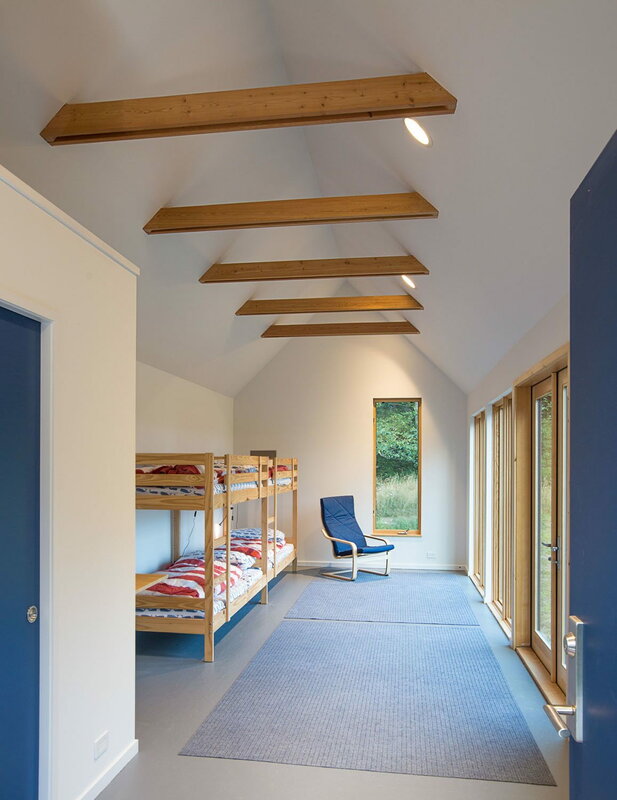 The buildings are turned relative to one another to provide a spacious entry and orient the primary rooms to specific views. 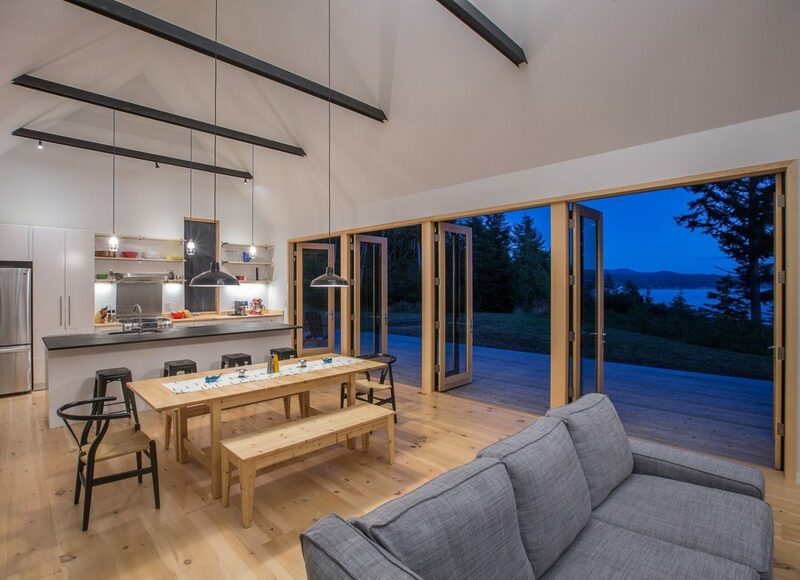 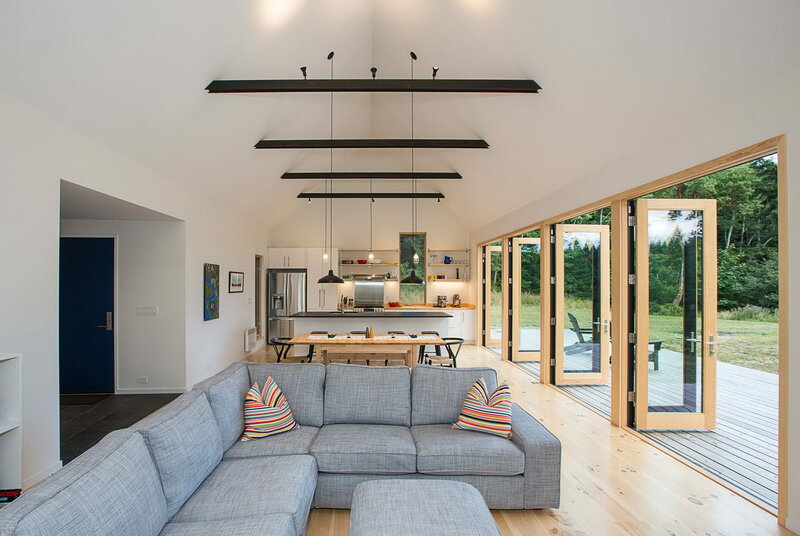 A series of French doors off the living room open the space entirely to the exterior and present an expansive southern view of Hood Canal. 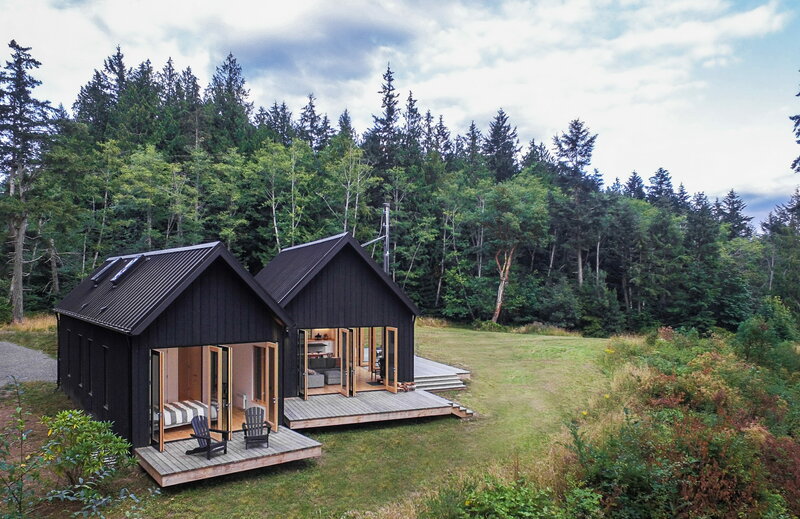 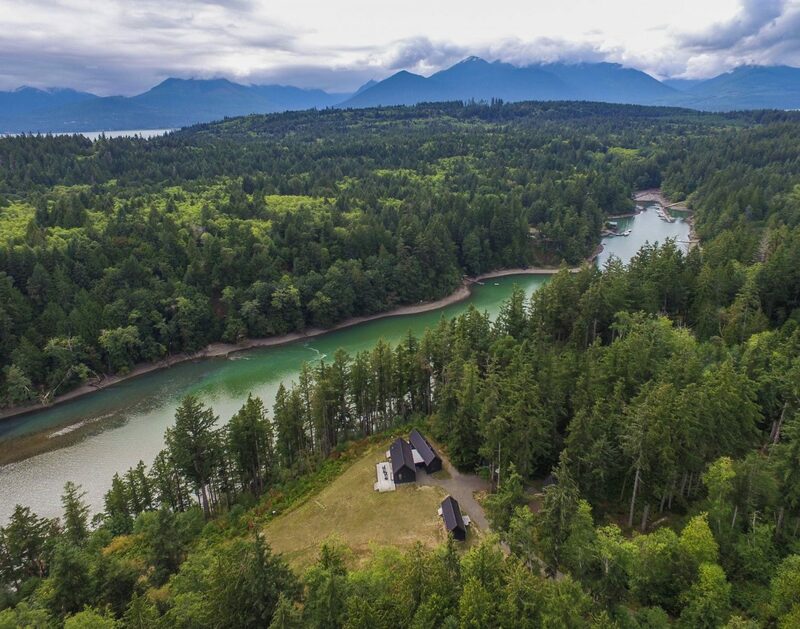 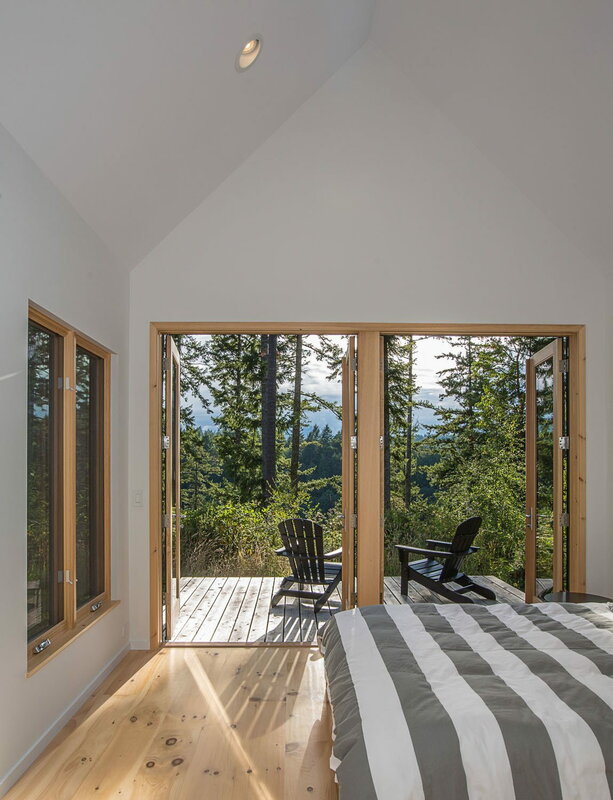 The master bedroom is pushed to the west edge of the meadow to provide a more intimate view of the Olympic Mountains and the adjacent harbor, lightly filtered by the trunks of neighboring firs. 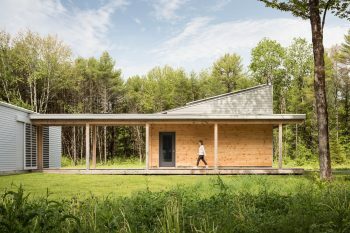 The site’s original structure was moved a modest distance from the new buildings, oriented to the broad southern view and remodeled to serve as a bunk house, further defining the entrance to the site while enclosing the edge of the meadow.